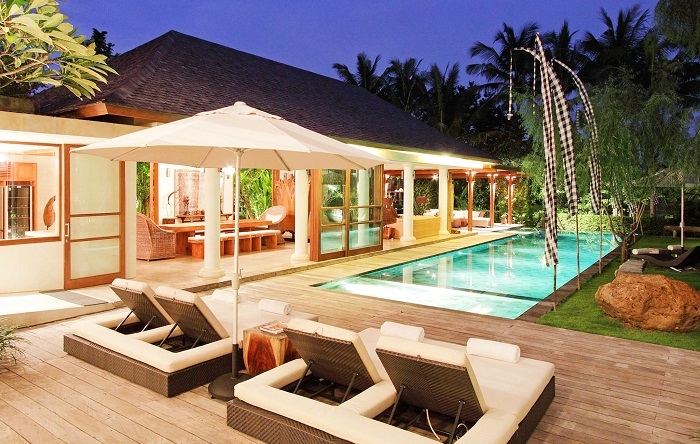 Located on the beach, this gorgeous villa features breathtaking views of Bali’s famous sunsets. You will love its large swimming pool surrounded by its beautiful tropical garden. This prestigious villa has achieved considerable editorial coverages in fashion and lifestyle publications from around the world. Find out the beautiful Villa Bendega ! 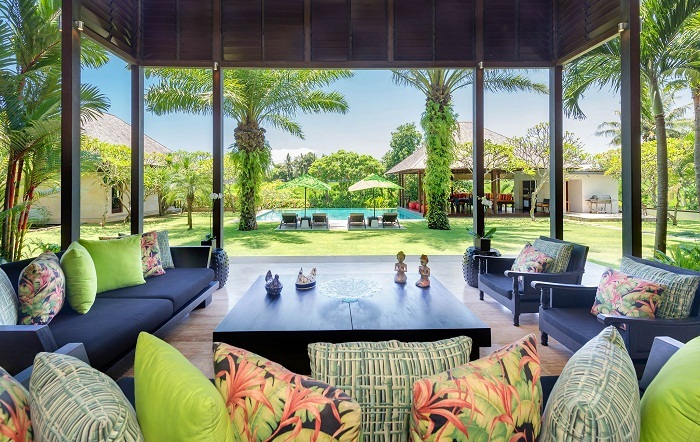 Located in Canggu area, surrounded by terraced rice fields and only 5 minutes’ walk from the beach, this elegant and spacious villa offers 8 comfortable en-suite bedrooms and a living area opens out into the lush tropical garden and a large swimming pool. Planning your next holiday in Bali? 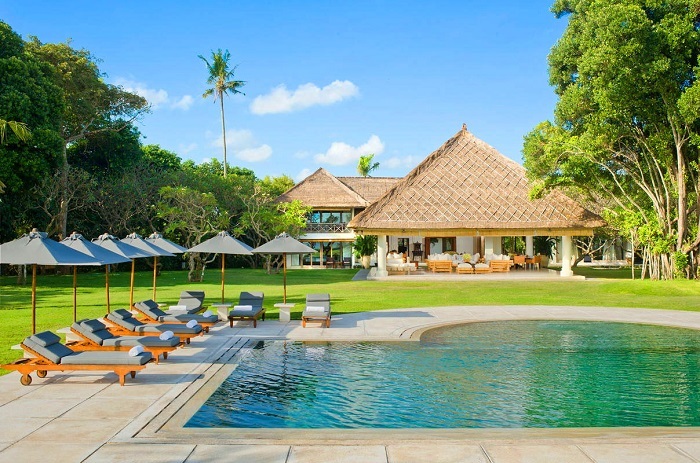 Discover the amazing Villa Sarasvati ! Situated just 600 meters from Berawa Beach, 5 minutes away from the Canggu Club and 10 minutes driving from the restaurants, boutiques and nightlife of trendy Seminyak, this gorgeous villa offers 4 en-suite bedrooms, a large open air living and dining area, a fully equipped modern kitchen and a superb private swimming pool surrounded by beautifully landscaped tropical gardens.